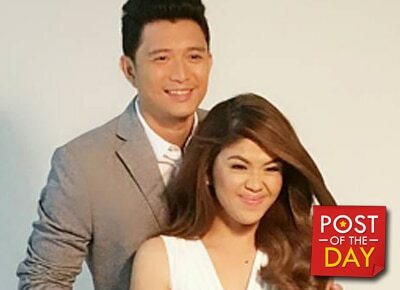 Melai Cantiveros shared her heartfelt message for her husband Jason Francisco on Instagram today. Jason turned 29 yesterday, October 11. “Happy Happy Birthday to the Man of our life ang aming padre de pamilya, ang aming Protector. “Thank you Papang namin sa lahat ng pagmamahal at pag unawa. Laging pag pagsuporta sa lahat ng bagay. Wish namin ng mga anak mo all the best in life, good health, happiness at etc. Di ako magsasawang alagaan ka, ipagdasal ka, pagsilbihan ka dahil mahal kita. We Love you so so much,” she wrote. The comedian turned TV host recently announced she and Jason have fixed their marital woes and that she is pregnant with her second child.